So first I tried making an MD3 format model for a simple 3D thing I want to use in my map. When I tried to run a map with the thing in Zandronum or GZDoom, it sort of froze. The map would seem to load fine and music would play, but the screen was black and the game didn't accept any inputs. On clicking the "x" to exit, Windows said the program wasn't responsive. Well, then I tried voxels. I got me a KVX file of pretty much the same thing. SLAB6 seems convinced that the file is valid, I can see the thing I made in Magicavoxel just fine. GZDoom has the same freezing issue. Zandronum just shows those vile red diamonds with exclamation marks in them apparently saying there's something missing. Zandronum's log says "Fence2 at (x, y) has no frames". Wait. Wait what? It seems to be working now. @R4L your test pk3 held the answer in its DECORATE script. Only thing I can think of is that you're ending Spawn states with Loop. Try Stop instead. Also, your frame is 0 duration, which if the wiki is correct then it will crash because its looping endlessly. Only thing I can think of is that you're ending Spawn states with Loop. Try Stop instead. You only have 1 frame anyway so Loop shouldn't be used. Oh hey, that fixed the freezing problem. It didn't fix the models or voxels problems. Models are red error signs, and the voxels just don't show up at all. GZDoom Builder says, "Unable to find sprite lump "FNC2A" used by actor "Fence2":10242. Forgot to include required resources?". Oh hey, that fixed the freezing problem. It didn't fix the models or vo﻿xels problems. Models are red error signs, and the voxels just don't show up at all. Then your path to your model's textures are wrong, or you don't have the texture file inside your models folder. If your texture is inside another folder inside the models folder, make sure it says so in your Skin definition. @R4L I don't understand what you're talking about. Clearly the model is showing up in GZDoom Builder. If you look in the thing boxes, you can see the wireframe of the same model shown in Misfit. I showed where the texture PNG is in the screenshots of SLADE, right alongside the MD3 file. Is this the only model that doesn't work or is it all models? Then you won't need misfit at all, and you can do what I suggested earlier: naming the materials so they match the paths in your .pk3. Even though it shows up in GZDB, it sounds like UVmaps are getting lost when you export the .obj to .md3. @R4L Because I couldn't get the Blender exporter to work - the installation just wasn't installing, with no error messages, no success messages, nothing - and the Blender community is impenetrable when trying to figure out why something doesn't work. And I very much seriously doubt that the problem is that I exported to OBJ first, or that this issue has to do with materials. My Blender model file has one texture and one material, and it's only in there so I can see what I'm doing when I set UV coords. Installer? 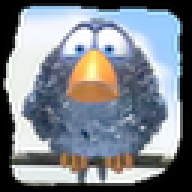 There isn't an installer for Nash's plugin. You simply extract it to your plugins directory. Then in File - User Preferences, you can add it as a plugin. 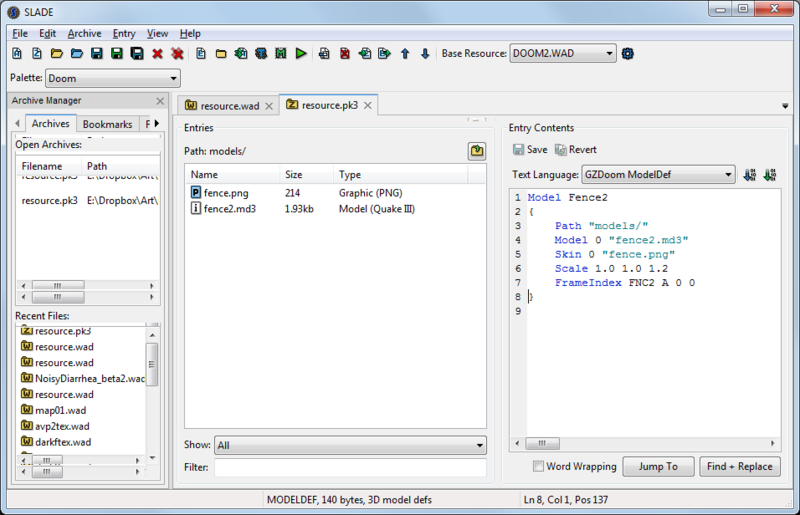 After that, you just select your model, and export as GZDoom .MD3. This is what I use and my models work fine. @meapineapple R4L made an excellent tutorial, did you read that. Also, wanted to say @meapineapple that going from .obj to .md3 could be the entire problem... 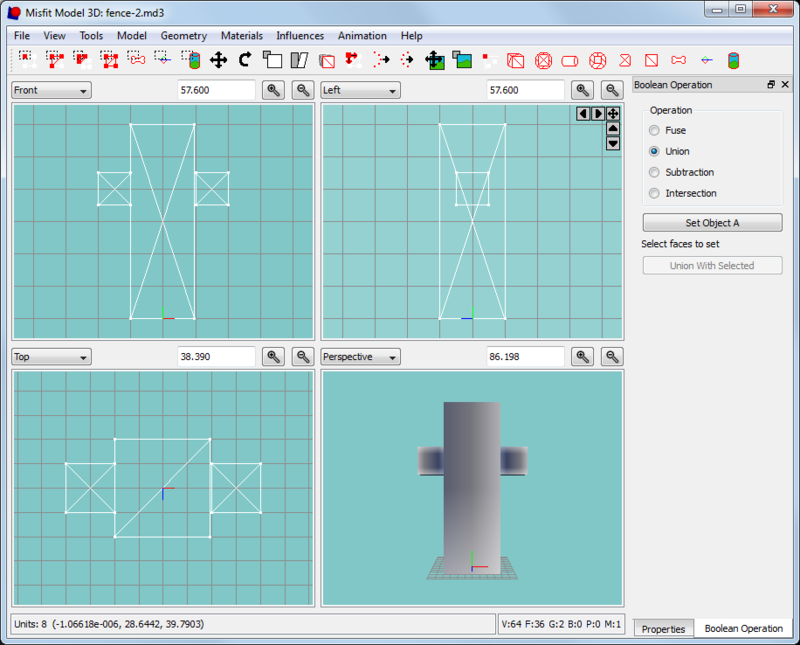 There's no reason to export to .obj just so you can export to .md3. You already do everything in Blender, might as well export to .md3 too. 5) Perhaps try changing the referenced sprite to something that actually exists, like TNT1 or even a real sprite like BAR1. FNC2 not existing might be confusing it. I was using the "OpenGL-Accelerated" mode. I tried switching through all of the rendering options and it didn't make a difference for either the MD3 model or the KVX model. This has been weird. Currently, no, the things don't show up with IDDT. But in the past, even without changes to DECORATE, sometimes the things have been invisible but still block me, sometimes they don't seem to be there at all. Sometimes they've been red exclamation marks that block me, sometimes they don't. Just to reiterate, the things show up 100% fine in GZDoom Builder using the both the MD3 and KVX models. 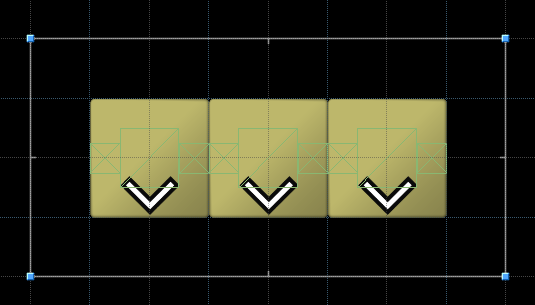 Wireframes show up in the normal editor view within the thing bounding boxes, and the models themselves show up exactly as I expect them to look in the 3D map view. I downloaded GZDoom 3.7.2 and tried doing the same testing steps with that version instead for both the MD3 and the KVX. There wasn't any difference. No change in GZDoom's behavior. Changing all instances of "FNC2" to "BAR1" didn't fix either the MD3 or the KVX. 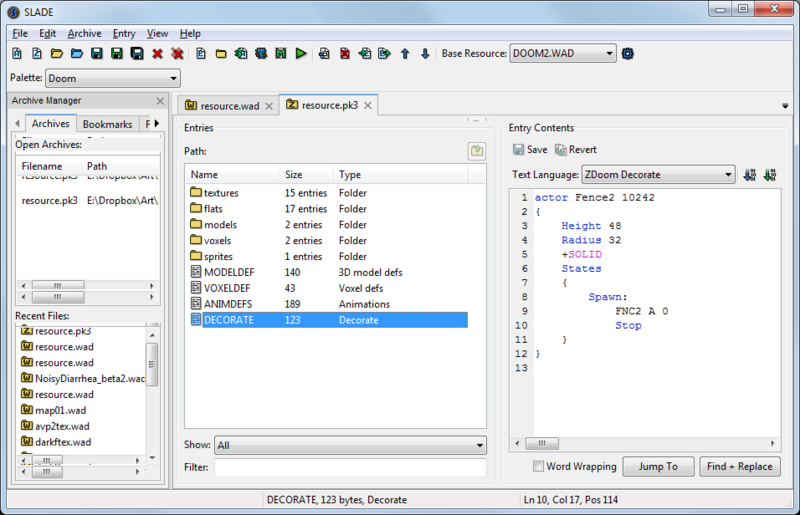 I'm attaching two versions of the resource pk3 I've been using. (With *.zip extension because of forum uploader limits.) 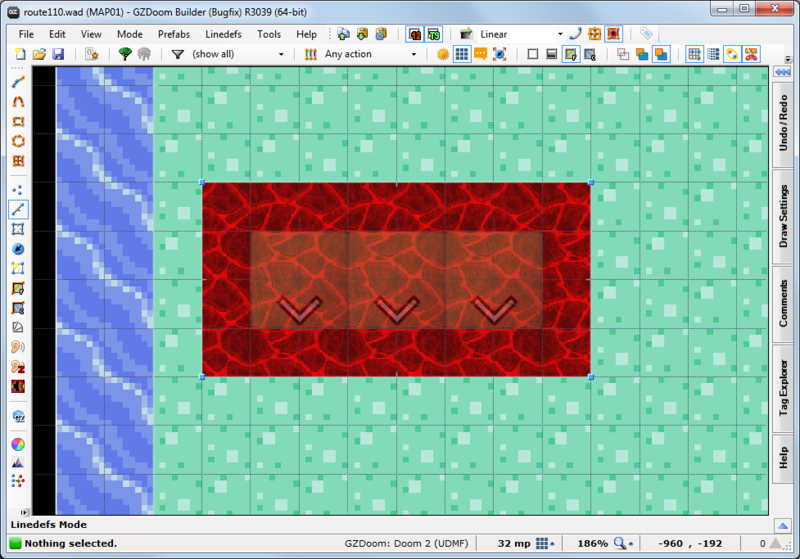 To test for yourself, make a map with GZDoom Builder and add one pk3 as a resource, add at least one "Fence2" thing, and then run with GZDoom. The only difference between these two pk3 files is that one has "MODELDEF" and "models" with my "VOXELDEF" and "voxels" renamed to something else, and the other has "VOXELDEF" and "voxels" with "MODELDEF" and "models" renamed to something else. 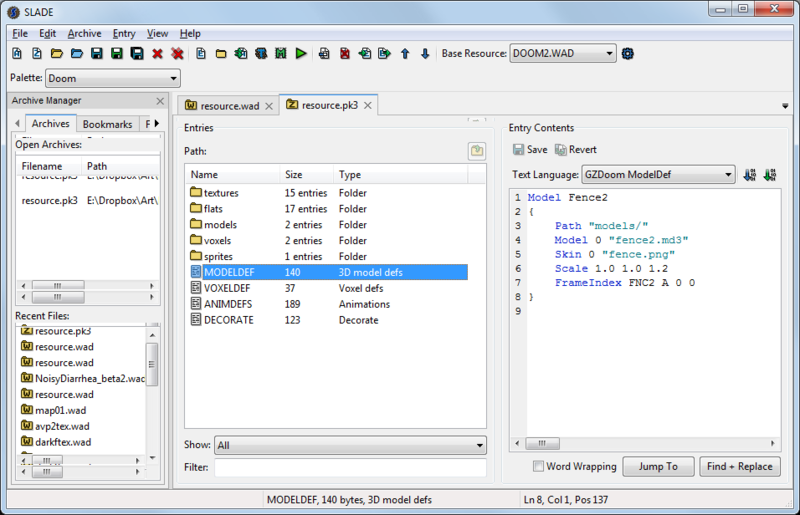 I suggest just using MODELDEF's skin property to assign the correct texture file name and directory. This way, you don't have to deal with correct filenames. That's what I've been doing @Cherno. The model displays just fine in GZDoom Builder. I don't get any error messages in GZDoom, no weirdly-textured models. They just don't show up. 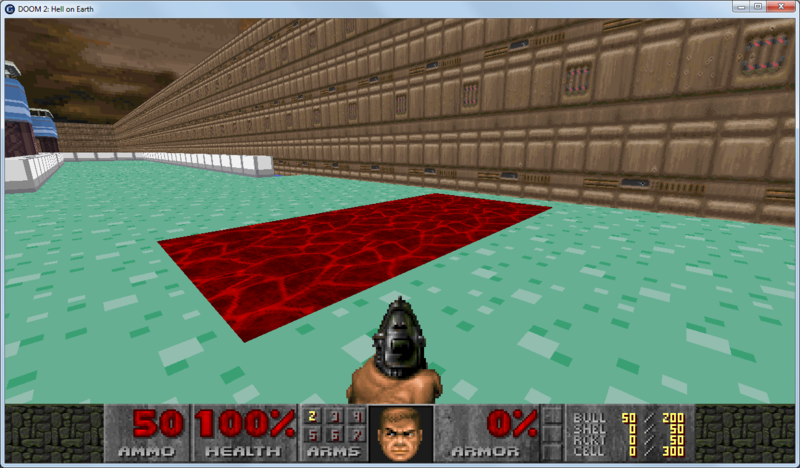 @R4L Okay, I tried using the test pk3 you sent and the model did in fact show up in GZDoom. I have not got the faintest idea why the material texture path would have anything to do with anything given I told MODELDEF exactly where to find it, but alright. Any chance now of fixing the voxels, too? You are talking about something that's hacky to begin with (MODELDEF) so it's not surprising that it doesn't work as intended. Voxels aren't my thing, but you could try asking@Ermin. Solace Dreams uses voxels quite well. 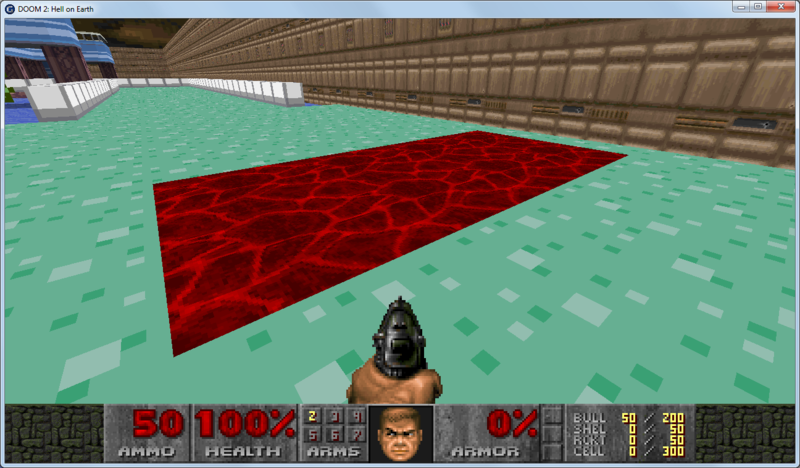 So I was able to replace an existing thing's frame with a voxel model and it displayed in GZDoom as I expected it to. Whatever is going on, it apparently is not a failure to load and display voxel models. 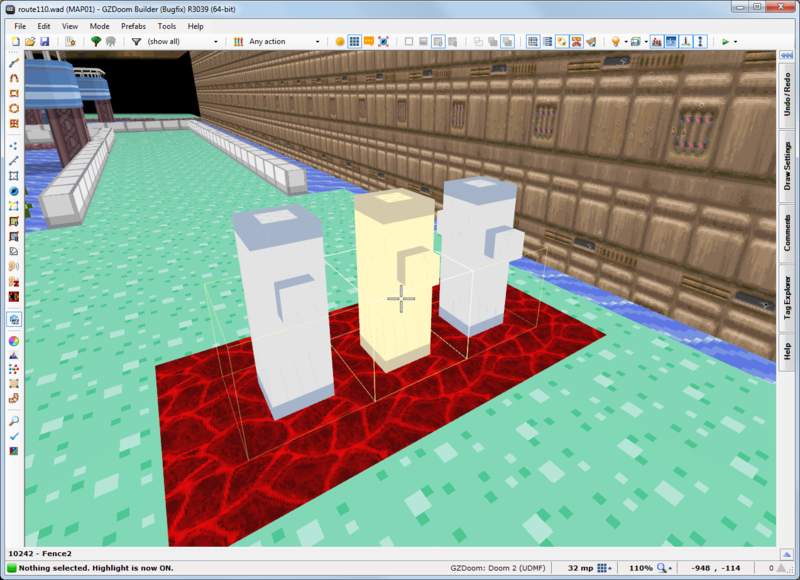 However, two days later, trying every freaking thing I can think of, I still have not managed to get one of my own voxel things in DECORATE to show up in GZDoom. The -1 is the time in ticks this frame will show. If it is 0, it will immediately go to the next line, which in this case is Stop, meaning that the actor stops existing right after spawning. I assume that it needs at least a duration of 1 if the State is looped. If it's -1, it will go on forever so the Stop is never reached.